Phone 020 3746 1366 or fill out the online contact form to inquire for a free price quote for our hourly based one off cleaning assistance. We are here to answer to your queries and give you a low cost info! Why pick our one off cleaners Streatham SW16? 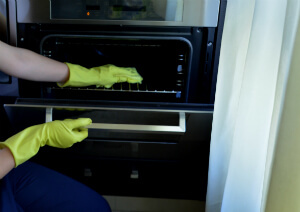 Ashlee House Cleaning has many years of knowledge as a professional cleaning services provider and we are well-known for our top quality one off cleaning service in Greater London. We devote a lot of time and sources for training our one off cleaners Streatham SW16 to use the modern professional cleaning gear and liquids. All of our cleaning services are completely insured, with the insurance included in the hourly based price. The cleaners are regularly administered for compliance with our quality procedures and our pre-approved one off cleaning checklist. The private and business owners will be able to pick exactly which cleaning duties they want completed and we will offer them all, given that the hours reserved for the service are acceptable. One off cleaning is perfect when going into a new house, when it is time for spring cleaning, before and after gatherings and other occasions, and also for just about anyone who needs aid and does not possess the time or equipment to carry out the deep cleaning by themselves. Reserve our one off cleaning service if you need reasonable professional guide with the deep cleaning of your home, office or other business property today! We have a specialised good spring cleaning Streatham SW16 service, which will help you get your private or business residence all cleaned up and ready for the summertime. The one off cleaners could come prior to, during or right after spring cleaning season to conduct deep cleaning of your whole residence or of specific parts, rooms or items in it, depending on your needs and preferences. We have got a spring cleaning checklist, which involves all possible cleaning projects you may need. You can pick the ones you need, and we will do the cleaning for you at a sensible hourly based selling price.